3. After clicking on the yellow scare can, you will come up with a new page where you can win prizes and points for your team. Click on the big blue button that reads, "Play Scare Games." 4. Scare Games can be played by using the arrow keys on your keyboard. The left key is to move to the left the right key is to waddle to the right and the space bar is to jump. 5. 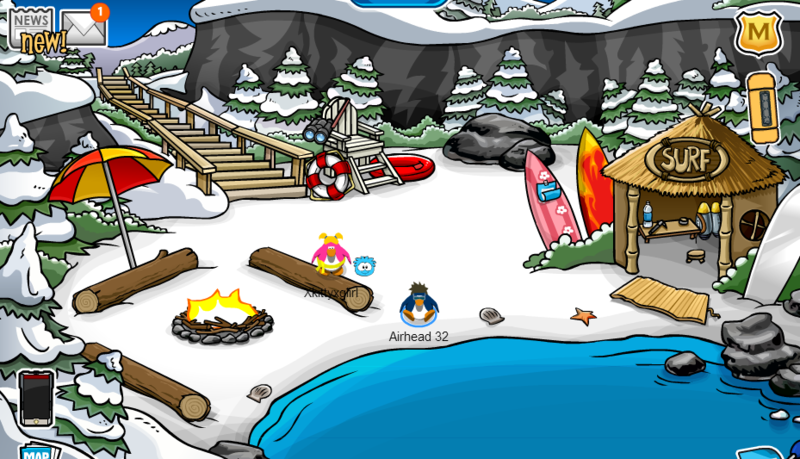 Head to the Snow Forts and waddle to the right to find your team's base to hangout, which team are you? Club Penguin did an amazing job with the party! It's very different and I love all the detail they put into it! Do you like the party? What do you think could have been added for the party to be better? I would say a meetable mascot! Leave your comments below I'd love to hear your thougths! Waddle on!